Patients would not think about adding a room on their house without an architectural plan. 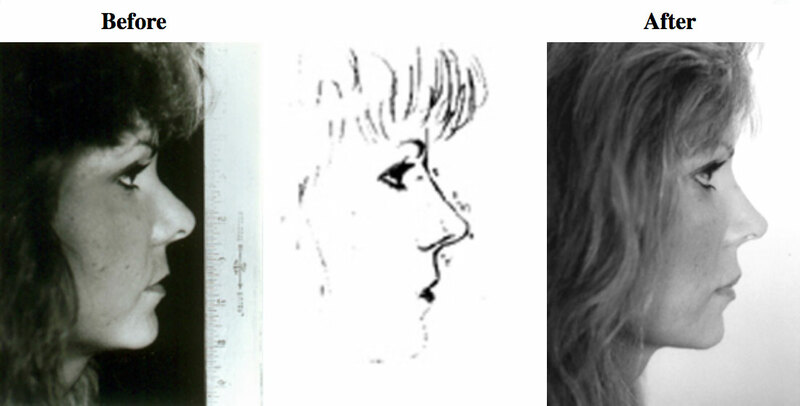 Dr. Clark uses a profile drawing that is accurate to a tenth of a millimeter. This helps the patient know what Dr. Clark plans to do and Dr. Clark know what the patient desires. This is not an exact science because of the vagaries of the healing process, but it is the closest we can get to consistently desirable results in the operating room. Dr. Clark measures the hump reduction to ensure it is equal to the plan.